Today marks World Tourism Day, observed annually as a means of fostering general awareness among the international community of the importance of tourism and its overall social, political, and economic value. This year’s theme surrounding sustainable travel perfectly aligns with The Travel Corporation family of brands’ philosophy to “TreadRight” in all of its practices. 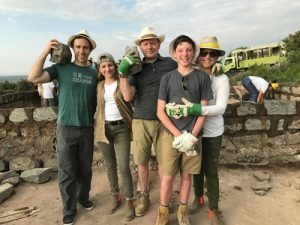 As one of the world’s largest sectors, supporting 284 million jobs and generating 9.8 per cent of global GDP – the travel sector can help to increase public appreciation of the environment and help to spread the word on the value of connecting with the natural world and other cultures and communities in a sustainable way. The belief that tourism can affect global sustainability is not new. In the 1970s, discussions and debates were being had about the “new promising field” of a “tourist industry based on natural resources,” and whether tourism would be invasive to the natural world, or if a symbiotic relationship between tourism and sustainability could prove tenable. Four-plus decades later, the conversation has largely shifted to the idea that, while tourism and sustainability can have a symbiotic relationship, symbiosis is far from guaranteed, and all tourism activities will inevitably have both positive and negative impacts. That is to say, if tourism is to have a positive impact on environment and communities, the travel industry and travellers must make a conscious and careful effort to ensure that happens. Tourism can also contribute to environmental protection, conservation and restoration of biological diversity and sustainable use of natural resources, as the attractiveness of the natural world is a vitally important asset for our sector, proving that maintaining the vibrancy of natural sites is crucial to tourism organisations being able to continuously benefit from their existence. Currently running two initiatives – the Wildlife Initiative currently partners with WildAid and Wilderness Foundation – Africa and Wildlife SOS – India; The Heritage Initiative currently partners with the Alliance for Artisan Enterprise to currently deliver our small grants to Centro de Textiles Tradicionales del Cusco in Peru, Laboratorio Giuditta Brozzetti in Italy, as well as partnering with Manitobah Mukluks to support the Storyboot School in Canada. Outside of the scope of the two initiatives, all brands – through their contributions to TreadRight – all brands also support our water project partner Just a Drop.